I’ll be honest: Aldi’s Crofton Ceramic Peeler makes me not dread making homemade mashed potatoes anymore. 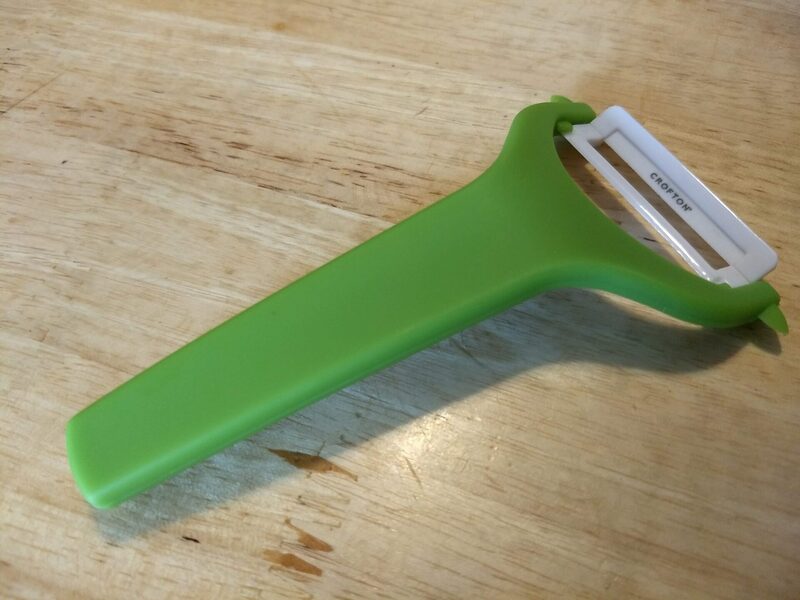 I’ve owned this handy little peeler for about a year now, and every time I use it, I’m amazed at how well it peels veggies like potatoes and cucumbers, and it’s also comfortable to hold and use. Not all of my veggie peelers have been that way. When I got married more than a decade ago, my grandparents gave us a Pampered Chef veggie peeler among other things. It was a basic all-metal peeler, and I thought I was lucky to get a well-respected brand for all my veggie-peeling needs. The only problem was that it killed my hand every time I used it. The metal edges dug into my skin and hurt my fingers. I decided to get away from the metal-handled peelers all together and look for something with a more comfortable grip, and when I saw the Crofton Ceramic Peeler for sale at Aldi last year, it was just the thing I wanted to try. The Aldi peeler retails for $2.99 at the time of publication and features a corrosion-resistant ceramic blade and a soft-grip handle (yes, please!). It comes in red, black, or green. I opted to get the green one. Keep in mind this is a limited-time ALDI Find, which means Aldi will stock a small supply and once they’re gone, they’re gone, probably until next year. So, if you really want one, don’t delay. 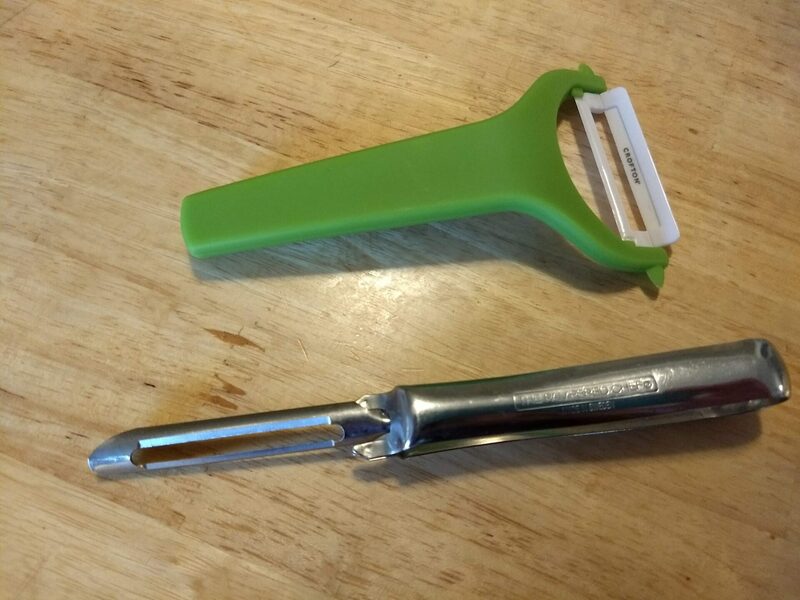 To use it, simply grip the handle and swipe the blade along whatever you want to peel, just like you would with any other peeler. It’s pretty intuitive. As with other peelers, just be careful to avoid nicking your fingers. The best part is that last Thanksgiving, I made mashed potatoes for a crowd using the Aldi peeler. I peeled an entire bag of potatoes, and my hand felt good afterward. I also got lots of compliments on the mashed potatoes. Aldi’s Crofton Ceramic Peeler gets the skins off veggies and fruit in an efficient manner and is comfortable to hold as well. I like it better than an older name-brand peeler I used to use. Highly recommended. I want to try your mashed potatoes,Rachael! 😉 Have you ever thought about starting a recipe blog? Best wishes for a Happy Easter to you & your family.